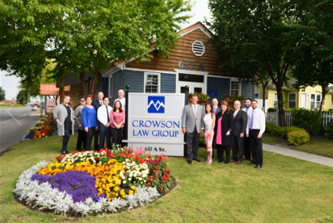 Home > Why Choose Crowson Law Group? 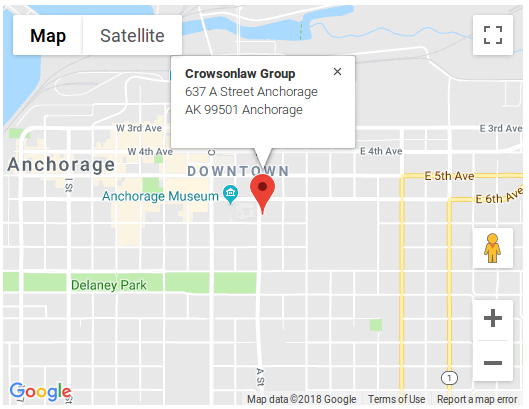 The attorneys at Crowson Law Group have proudly represented thousands of Alaska residents who were injured in accidents or who lost a loved one. Our longstanding reputation — both inside and outside the courtroom — gives us the strength to fight for the justice you deserve. 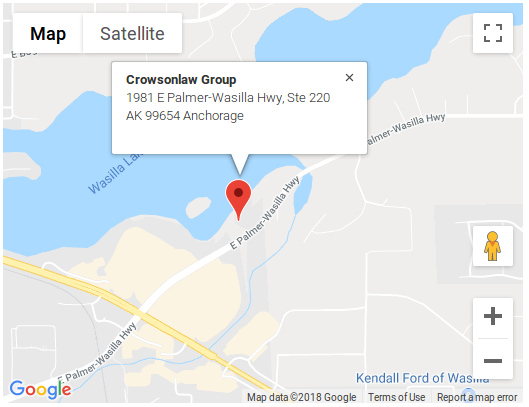 If you need our help, contact us in Anchorage or Wasilla today for a free consultation. We will set a time to sit down with you and figure out what the best course of action is for you. We do not charge for consultations and, even when you hire us, you pay no fees until you receive compensation. We help injured people just like you. If you have been injured in Alaska, we will work to get you full and fair compensation for your injuries. Our attorneys and staff do this work because we care about our clients and the Alaska communities where we live and work. Our mission is to help you get back to what you love. Crowson Law Group welcomes you to learn more about how we help and to contact us today if we can help you.